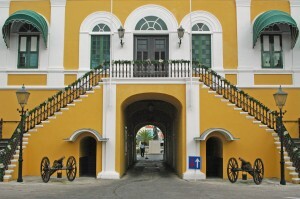 WILLEMSTAD - The government of Curaçao has installed an interim team to realize a reorganization process within the Security Service Curaçao (VDC). This special interim team VDC will be charged with the daily management of the service and has the task of completing the (already started) reorganization. In this process, both the organizational structure, the legal positions and the procedures will be adapted to current requirements. The VDC interim team reports to the Ministers of General Affairs and Justice, Mr Eugene Rhuggenaath and Mr Quincy Girigori respectively. The team is established for one (1) year and consists of local VDC trust officers and is supported from Aruba and St. Maarten.